When it comes to building a garage, the floor is not usually offered the same attention as those in the rest of your home. Often, untreated concrete is laid and this is at risk of damp if not sealed properly, leading to cracks and unsightly pock marks. So if you are building or converting your garage, what flooring should you choose and what measures do you need to take beforehand? It is recommended to install a damp proof course (DPC) below any substrate — in fact, it’s essential if you will be installing electrics and sockets. This will prevent water from working up the walls and causing problems. Both are readily available at your local DIY store. If laying a membrane it is important to ensure the edges are turned up where they meet the wall to create a seal. Applying a floor covering protects raw concrete bases against stains and road salts, hides blemishes, looks stylish and can be easier to clean. 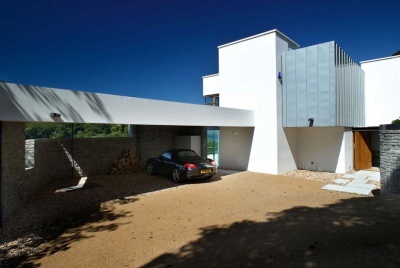 Depending on the use of the garage, some people may decide to have bare concrete, but they may polish it giving it a sleek contemporary finish. This will then be sealed to protect against spills, but be aware that polished concrete can get still be stained, so think carefully about use and maintenance. You will only want to consider wood or carpet if you are using the room for recreation or as a gym. 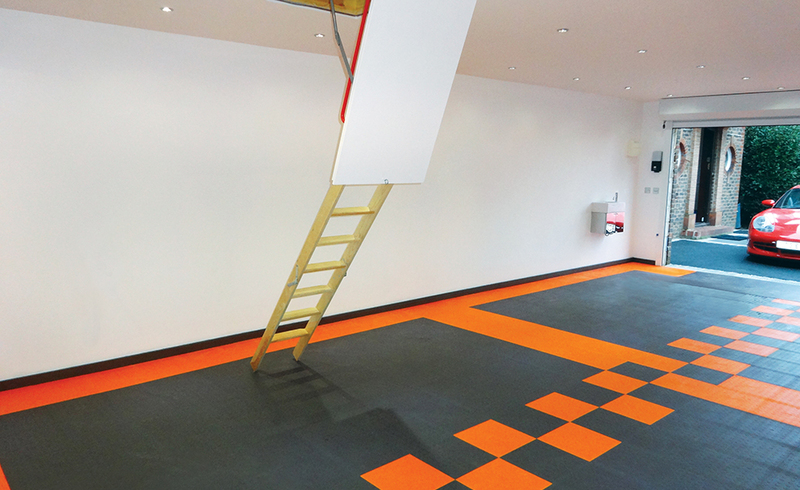 Carpet tiles are a more hardwearing option than standard wall-to-wall carpet and thus suit a wider range of purposes. For added comfort, you could install underfloor heating first, but this will need factoring in before you pour your concrete base. 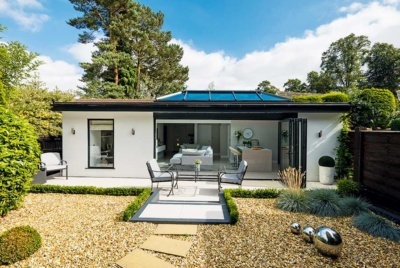 Resin floors are waterproof and can be finished in a range of colours — you can even inlay objects such as small stones for a granite effect or flecks of metal. Being hardwearing, resin is suitable for a multitude of uses and makes a practical surface in garages for storage and cars. However, it is rather pricey at around £90/m2 so may be best reserved for those who want (and can afford) a high-end showroom look in their garage. Probably the most cost effective and easiest option to install is PVC tiles. They will form a durable, waterproof layer on top of your concrete and they are easy to clean. 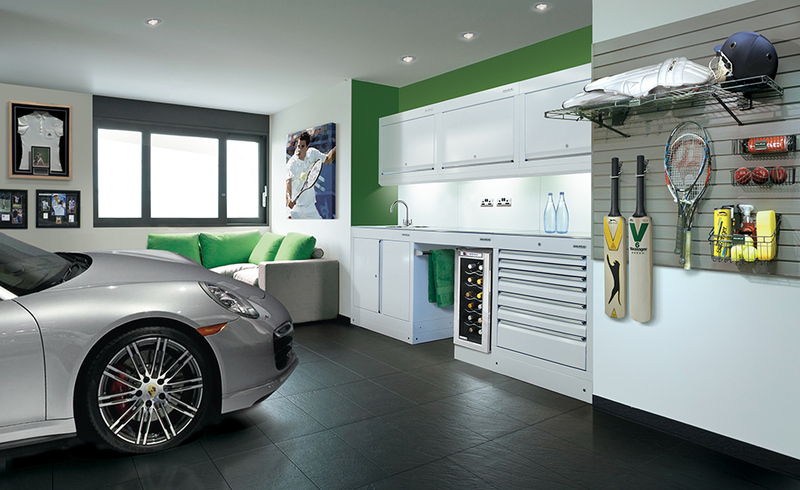 PVC floor tiles are designed to handle heavy loads so are ideal if you use your garage to park your car, or as a workshop with heavy tool cabinets and car jacks. 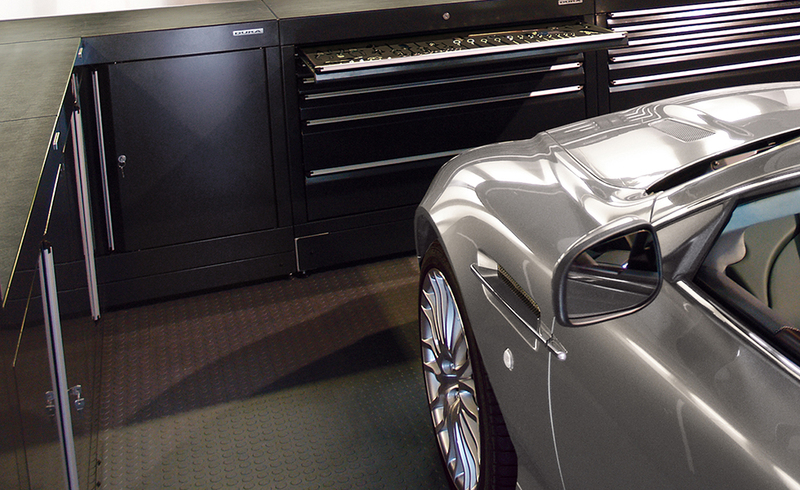 They snap together allowing you to create custom designs in a variety of colours, meaning you can easily add style to your new garage. 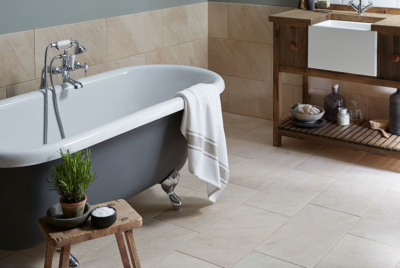 As tiles are laid individually it is easy to replace individuals that may have become damaged. Porcelain tiles provide a stronger noise and draft barrier than their PVC counterparts and look more stylish too. Although a more expensive option, porcelain tiles are incredibly hard wearing making them long lasting and a good investment over time. 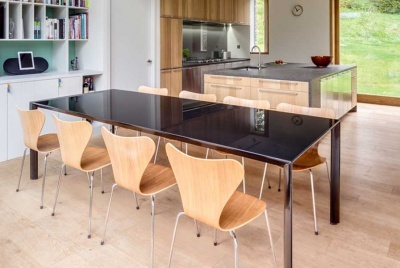 If you need a non-slip surface with high-soundproofing qualities, rubber is a great option. Choose a textured surface for the highest grip qualities. Rubber is easy to install and creates a hardwearing waterproof layer that is very easy to clean. Although typically associated with industrial and commercial building use, rubber can also be a nice surface for living as it is soft underfoot, insulating, and can come in a wide range of colours or styles. 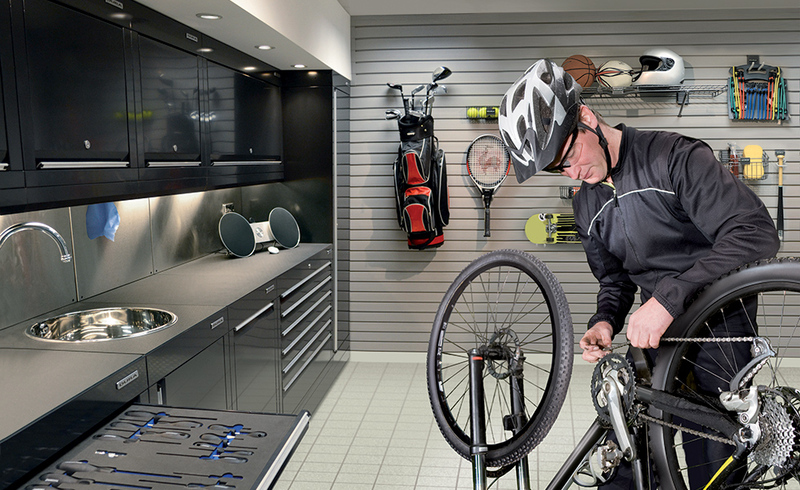 Rubber would suit a multipurpose garage, workshop or gym best.